Which of the proposed excursions best suits your needs? Discover now all the trails, places of interest along the way, refreshment points and plan your trip to the mountains in the best possible way! This is how we like the mountain: with its dual nature and its different rhythms. That's why we think it is a destination for everyone: those who prefer the slow pace of the exploratory walk, those who want to take walks with children to discover the upper Ticino and those who love to proceed energetically to the summit, testing their physical endurance. Mountain excursions in Airolo are for everyone! 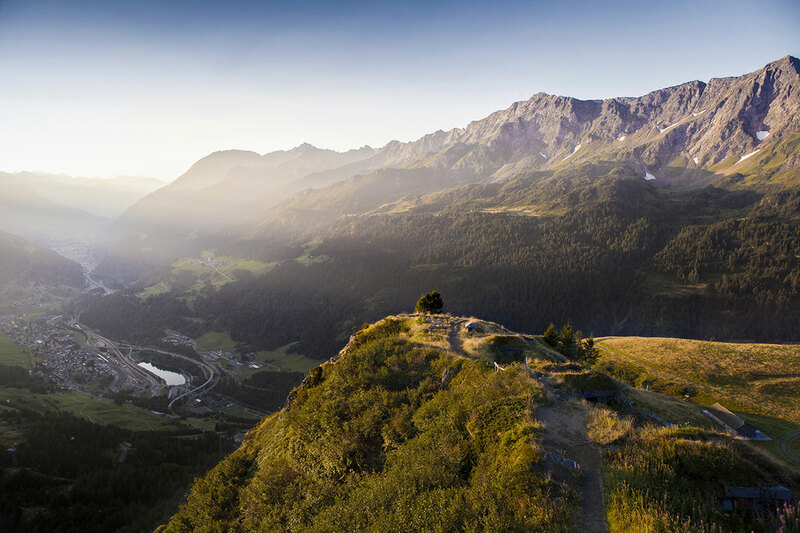 From Pesciüm, which can be reached via the Airolo cable car, there are several interesting routes, each for a different reason. The Sentiero del Mirtillo, for example, which both starts and arrives in Pesciüm is short, flat and suitable for everyone; the Strada degli Alpi Bedretto is for those who love to walk longer but without great altitude gain; the Sentiero Alto Tremorgio is undoubtedly for those who love trekking and are trained. Many other paths start from various points of our territory and are waiting for you to discover and experience them. If you are curious, deepen your knowledge of our itineraries on foot by reading the technical sheets below. This rather demanding mountain trail will allow you to discover mother nature. Challenge your body and reward yourself with amazing mountain views. The sentiero del Mirtillo is for those who enjoy Nordic Walking in Ticino. Two hiking trails that are suitable for those who want to take their dogs with them.